After a wild ride battling my own self-hatred, I’m back! So, nothing truly improved about the situation. I’m still living with my parents, the domestic abusers still have my house hostage, and the ex tenant is doing/planning whatever they wish to do to us. Interestingly, living with my parents has been pretty easy so far. They have been staying out of my way and generally have been pretty nice to me. The worst I’ve faced so far is blaming me for the situation escalating. In my current mindset, I’m inclined to believe them. I didn’t truly stand up to the drug dealer tenant until it was too late, and the same with the domestic abusers. But my concern remains the same. How do you stand up to a violent someone who has literally nothing to lose and has no respect? I have to leave these people in my house while I’m out trying to make a life for myself. If I piss them off they can steal/damage my stuff. I wouldn’t even put arson past them. Heck, they stole from me when I was being nice to them, imagine had I put my foot down! But then on the other hand, being nice to them also leads to an escalation down the road. It’s literally a no win situation. I’m being told that I should have been blunt with these people from day 1...But that’s easy to say for a third party, they don’t have to live with them, they have nothing to lose by standing their ground against criminals that don’t know where they live and don’t live with them. But for me, I see how violent these people have been and I get scared. The ex tenant is career criminal who hurts people for fun, steals for fun, and destroys lives...again for fun. The current tenant is someone who has tried to choke people in their sleep, loosened their lug nuts so they crash (he hopes they’ll die), and his girlfriend enables his unstoppable hate. She stole from me and deliberately tries to manipulate me worse than any other person ever has. So from my position, I first try to protect myself from harm. With the first tenant, that was trying to ignore her harassing me and suggesting not selling weed lest she gets evicted. With the second tenants, every once in a while I’ll throw them a pack of cigarettes to keep them happy. With the former tenant, I’m the “bad guy” for ratting her out to my parents for selling weed. Sure, I could have put my foot down myself...but I still had to live with her. I’d rather have her mad at her landlord than myself. Similar with the second sets of tenants. I can put my foot down, but what the hell does that mean for me? I don’t like going to sleep with a staple gun and a high speed rotary tool next to my bed. That’s why I made my parents the landlords. And it’s not like I can call the police, they’ve been to my house nearly 20 times in the past month and they’ve done literally nothing. Besides my unanswered question on how to handle those situations, I’ve been doing better. Being away from that house has allowed me to patch back together my thoughts, my emotions, and get back to healing myself. Most importantly, I’m no longer suicidal, I’m no longer hopeless, and I have traces of optimism. I’m also beginning to have days where I’m not depressed. I’m even back to doing my hobbies and I’m also back to looking forward to the future. Not all is perfect. I gained 15 pounds over the past month (though I’m back on track to losing again) and I still think of myself in very low regard. I don’t love myself and I’m still struggling very much with forgiving myself for my mistakes. However, I am functional and far away from wanting to hurt myself. It’s not going to be easy, I’m not going to be able to be truly happy for a while. I still have to move back into my house and face whatever nightmare awaits me. A part of me is contemplating just giving up on the house and starting new somewhere else. However, finding a place that’ll take in a car collector will be hard, if not impossible. I can’t make any promises, but I will try to keep myself from the mindset that makes me want to hurt myself. I haven’t really found the time to find another therapist. Almost every minute I’m not at work I’m just trying to rest, to find joy in life again. It’s seemingly working. The tenants will either be out by the 1st of December of on the 21st, depends how desperate they are for alcohol and cigarettes. Then I can go back home and assess the damages (if any). Now, without further delay, some good things! Tomorrow’s my birthday, I turn 25. I decided that I am not going to spend my birthday depressed like I have for the past two years and I’m expending as much energy that is necessary to give me a genuine smile. 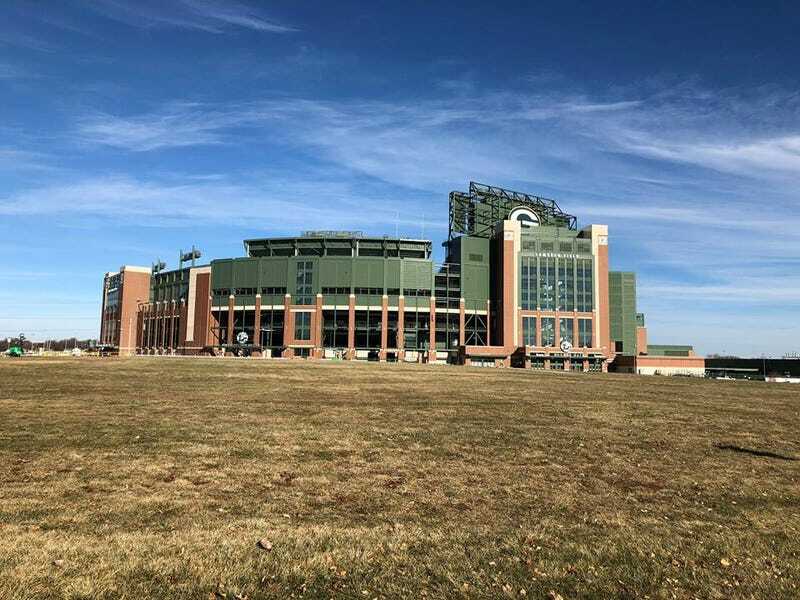 I went to Green Bay over the holiday weekend. I was invited to celebrate the birthday of a bestie’s boyfriend by staying the weekend at the Radisson Hotel attached to the Oneida Casino. In my patented weirdness, I did a lot of research on Green Bay International (GRB) and fell into a rabbit hole of researching Soviet airliners. I also researched the Oneida nation too since I love reading about different cultures and Native American populations. Amusingly, I made $250 (profit) at the casino after gambling a total of $25 away and the trip expenses. My friends made out with more money, but after they factored in their expenses they came out at an overall loss. I tried to “break in” to Lambeau Field’s entrance but was thwarted by some cameras. I’m not a fan of Football, but I did enjoy Lambeau Field anyway! I started positive journaling again and replaced the positive affirmation in my car with another one.